While some of your records may require permanent storage, most will have a retention schedule that would allow for expired records to be destroyed. Click here to read more. Records Management programs vary from customer to customer based upon size and needs. 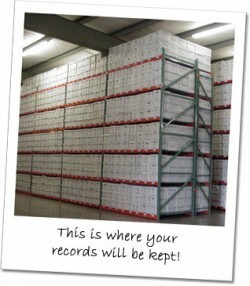 With programs starting as low as $35 per month, Records Management Services has a solutions for customers of any size! Click here to read more. 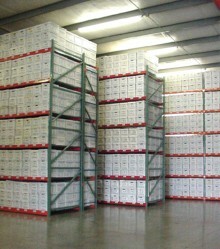 There are many types of records storage boxes available. Click here to learn about the different shapes and sizes. 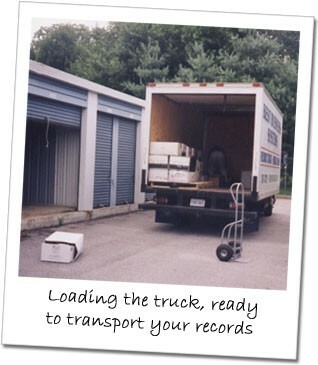 Learn more about Records Management Services: where we are located, who we are, our history, etc. Click here to learn more. 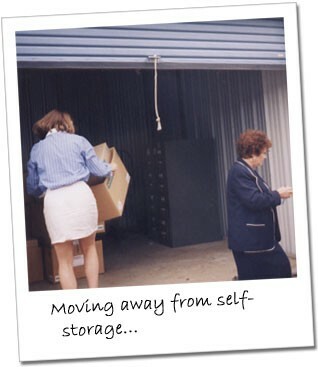 Below are images that show what self-management of records can look like. 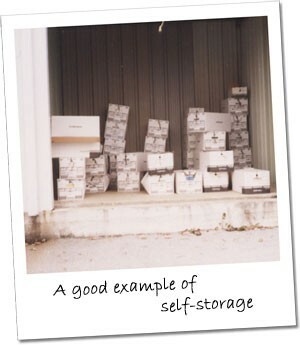 These images actually show "good" examples of people who choose self-storage and self-inventories of records boxes over using Records Management Services. Does this look like your boxes, your solution? Once you have chosen Records Management Services, you will find a vast difference in how your boxes are stored and managed.